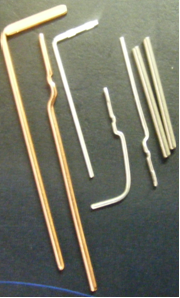 CIT Ireland Limited produces a range of Wire Forms and Precision Pins for the Electronics, Automotive, Lighting and Fashion Jewelry industries by utilizing proprietary cutting and micro forming technologies. These components can be supplied with multiple forms along with straight cut, beveled or die rolled ends. 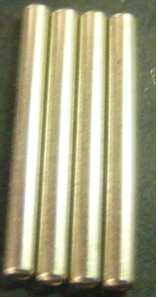 CIT’s unique wire feeding and straightening process, utilizing both linear and axial straighteners, assures wire surface integrity on all types of materials including plated and clad wires. Most ferrous, non-ferrous, stainless steel, bi-metal and special alloy wires Material can be bare, plated, clad borated or oxidized.